STAMFORD, Conn., April 15, 2019 /PRNewswire/ -- Ahead of Earth Day, Synchrony (NYSE: SYF), a premier consumer financial services company, today announced a new 'Go Paperless' campaign in partnership with American Forests. For the first 100,000 customers who enroll in paperless billing beginning Monday, April 22nd through July 21, 2019, Synchrony will donate $1 for each Synchrony customer. 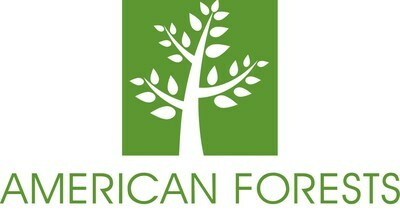 Every dollar donated plants one new tree with American Forests. "Synchrony is passionate about protecting the environment and the communities where we live and work," said Denise Yap, senior vice president and corporate citizenship leader at Synchrony. "Going paperless saves time, drives efficiency, and helps us better meet customers' digital needs. Through our partnership with American Forests, we are committed to help restore the nation's forests for future generations to enjoy." "American Forests welcomes Synchrony as a 2019 planting partner," said Jad Daley, president and CEO of American Forests. "Their support results in tangible, long-term impacts that benefit urban and rural communities — and to the health of our planet as a whole." Synchrony is partnering with American Forests to help drive customer awareness of the importance of protecting and restoring the nation's forests for future generations to enjoy. Synchrony's philanthropic initiative called Families that Work provides grant support to non-profits that are making a difference in the lives of low- and moderate-income working families. The company also encourages employees to serve the local needs of their communities by volunteering their time and skills. In 2018, Synchrony employees spent more than 44,000 hours volunteering in their communities.